Welcome to Samos, the birthplace of great ancient personas such as the famous philosopher and mathematician Pythagoras, the astronomer Aristarchos and philosopher Epikouros, and island of great historical importance since antiquity. 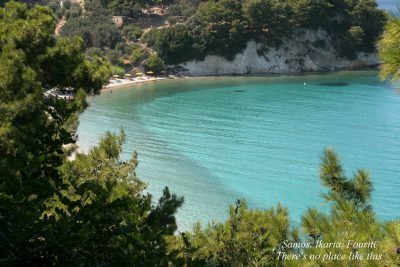 Samos is a blessed land with green landscapes, mountains, golden beaches, caves, and waterfalls, along with numerous archaeological sites, museums, churches and monasteries, all tokens of the historic past of the island to attract flocks of tourists. 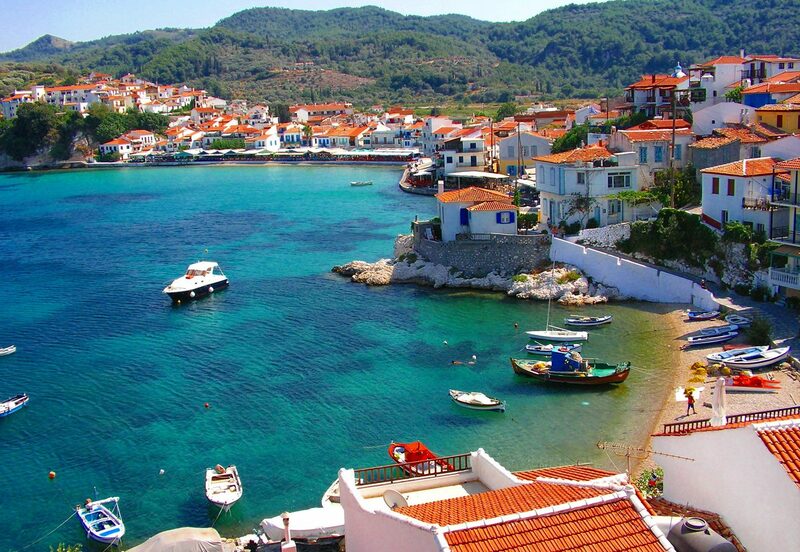 Arguably, Samos is one of the most picturesque islands in Greece. 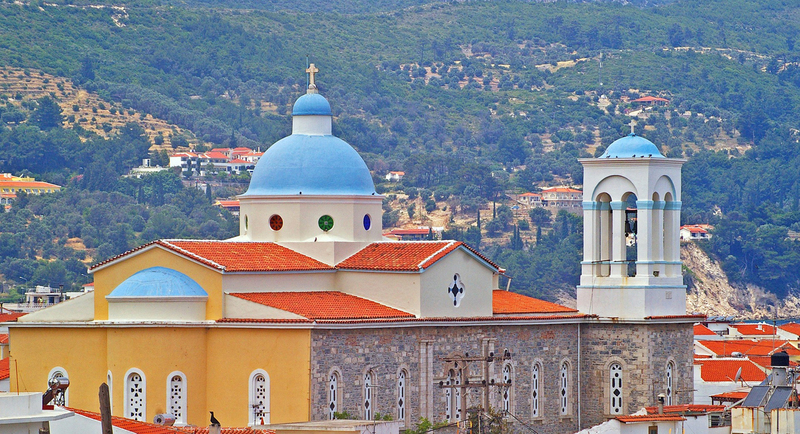 Visit its scenic capital, Vathi with the traditional mansions, the Archaeological Museum and the Art Gallery, the hamlet of Karlovasi producing the famous Samiotiko wine, the historic settlement of Pythagorio featuring the caste of Logothetis, the Efpalinian Trench and the church Panagia Spiliani, or the resort village of Kokkari surrounded by lush greenery and wonderful beaches, The tourist infrastructures of the island satisfy all demands as the above mentioned destinations house luxury hotels and resorts, or spa hotels, some of which including high end conference facilities, along traditional villas to ensure a comfortable stay to remember. Samos is an ideal destination for family holidays, outdoor activists such as hikers and speleologist, religious holidays across the historical churches and monasteries, holidays of historical interest with numerous museums and sites, or fun and relaxed holidays at the summer resorts, all toped with warm hospitality, Samos leaves visitors with a sweet taste. 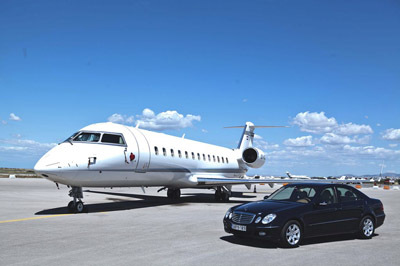 The island of Samos can be accessed by both air and sea. 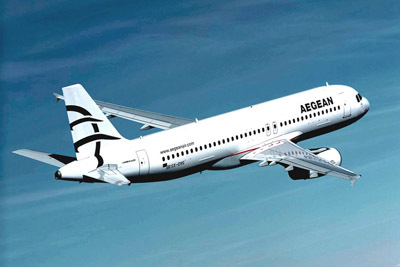 Daily flights serve routes between the island and Athens and major Greek cities, while during the summer period, charter flights from northern Europe land at the island to serve the increasing numbers of tourists. 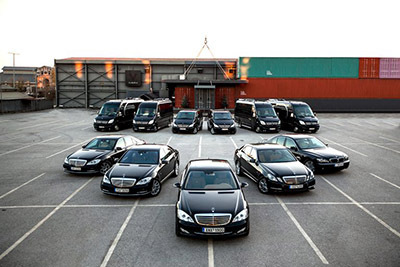 The port of Piraeus connects with Samos daily throughout the year, while several other ports connect with the island such as Paros, Naxos, Leros, Kalymnos, Patmos and Kos. 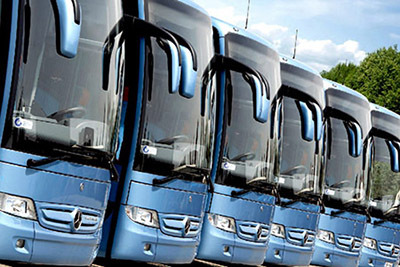 Boat trips offer visits to the neighbouring Turkish coast, on daily basis. 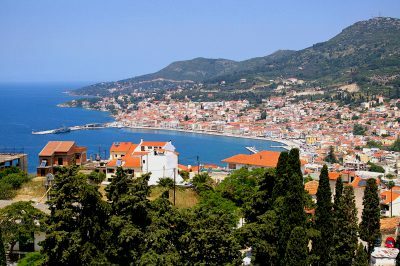 The capital city of Samos, Vathi is a popular destination around the island, built amphitheatrically on a small bay, with a mix of Venetian, neoclassical and modern building on its coastal zone. 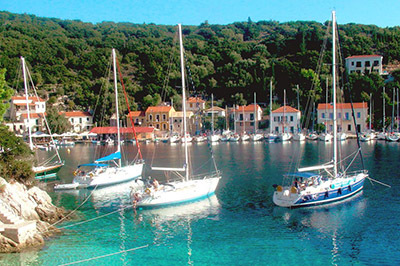 Kato Vathi is the touristic heart of the island and is situated right next to the harbour, being one of the major ports of the island. 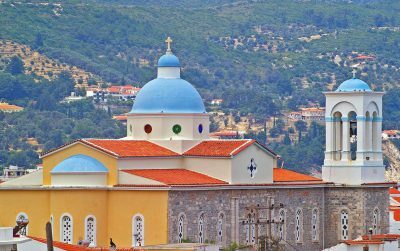 As strolling through the narrow winding little streets, the exploration of the town is a joy when coming across between others, the historic church of Agios Spyridon, the building that housed the Parliament, the Town Hall and the Archaeological and the Byzantine Museum. 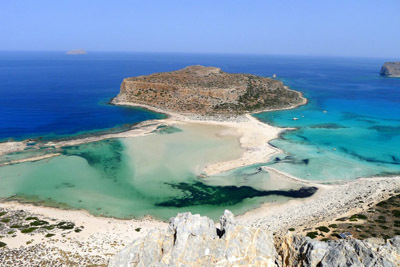 On of the most beautiful and historical villages of the island with unique and significant monuments is Pythagorio, named after the great scientist and philosopher. Other than a lovely traditional hamlet with neoclassic buildings with outstanding facades, narrow streets and a wonderful harbour, Pythagorio houses the Tunnel of Efpalinus a castle and a cave church. The seaside village of Karlovasi, although being the second largest town of the island, retains its traditional colours featuring marvellous mansions and buildings used for civil purposes such as the School of Mathematics or the Magistrates Court. Nearby the village, ruins of a Byzantine fortress with an adjacent 11th century church or the 17th century monastery of St Hellias with wonderful Byzantine frescoes can be found. 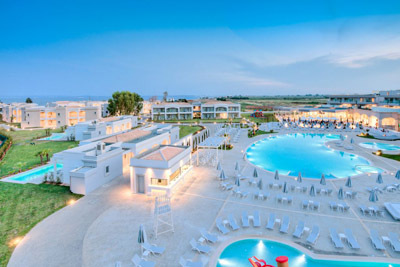 A beautiful village to combine the mountains and the sea is Marothokampos, with old stone paves streets, historic fountains, small churches and little squares, featuring amazing beaches and impressive monasteries and caves such as the Cave of Pythagoras. Another interesting village to visit is the village of Mitilini, a place of great paleontologic interest, as at the ancient city of Hissia many fossils have been found all housed at the Paleontological Museum of the area. 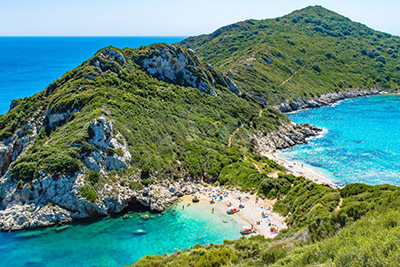 Finally, the fishing village of Kokkari is a traditional settlement surrounded by vineyards, pine trees and olive groves, offering ideal scenery and wonderful beaches thus attracting numerous visitors. 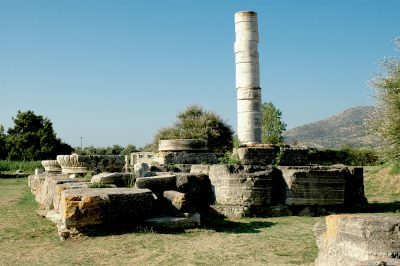 Near the mouth of river Imvrassos is Hireon, the most significant archaeological site of Samos, being the main area for worship on the island since antiquity. 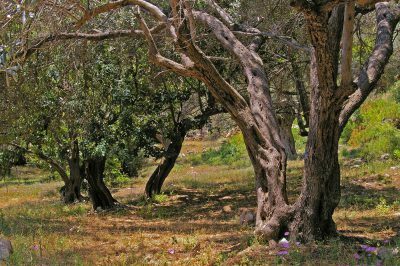 As it is thought, in some areas both deities of the East as well as the twelve Greek Gods were worshiped and Hera’s sacred temple was here. According to Herodotos, this temple was the biggest in Greece, still apparent at the remains counting 155 pillars of different sizes and types. Iera Odos (Holy Road) is another important part of the site, a 5km long paved road that connected the city with the temple, being decorated with various statues to be found at the Archaeological Museum of Vathi. The museum consists of an old and a modern building to host findings from excavations that took place in the island to include a huge Kouros, along with statues, pieces of pottery, everyday tools and some weapons. Right next to the site of the ancient town of Pythagorion is the brand new Archaeological Museum of Pythagorion that houses a fine collection of over 3.000 objects found at the location. Marble statues, coins, parts of buildings and temples, ceramic vases, jewellery and other items reveal the political importance of Samos during the ancient times, closely related with Asia Minor and mainland Greece. The little village of Mytilini houses the only paleontological museum of Greece, the Fossil Museum of Samos that exhibits fossils and remains of prehistoric animals; most distinctive being the three toe local horse aged 13 million years old! A museum of great significance is the Natural History Museum of Samos, located in the town of Mylinoi and housed in a church like building with an enormous garden to host the statue of Aristarchus, the famous ancient Samian mathematician and philosopher to initiate the fact that earth revolves around the sun. Five different sections of the museum: Paleontology, Mineralogy, Geology, Botanology and Zoology reveal in the best way samples of the natural wealth of the Aegean Sea, such as fossils of dwarf elephants, prehistoric lions, giraffes, rhinoceros and a horses. Finally, the N. Dimitriou Folklore Museum gives a complete view of the islands’ life before the World War II presenting all the elements composing the tradition of Samos. Tools, instruments and equipment used for the daily agricultural activities and production processes by the locals, reveal a range of traditional professions, arts and crafts, some of which still practices across the island. Samos is also home to some unique monuments such as one of the eight wonders of the ancient world, the Tunnel of Efpalinus, named its architect and famous engineer of the ancient world built in the 6th century B.C. Used as an aqueduct to store water in a place hidden from the potential enemy’s eyes, the tunnel was simultaneously opened at its two ends that after a 10 year construction finally met. 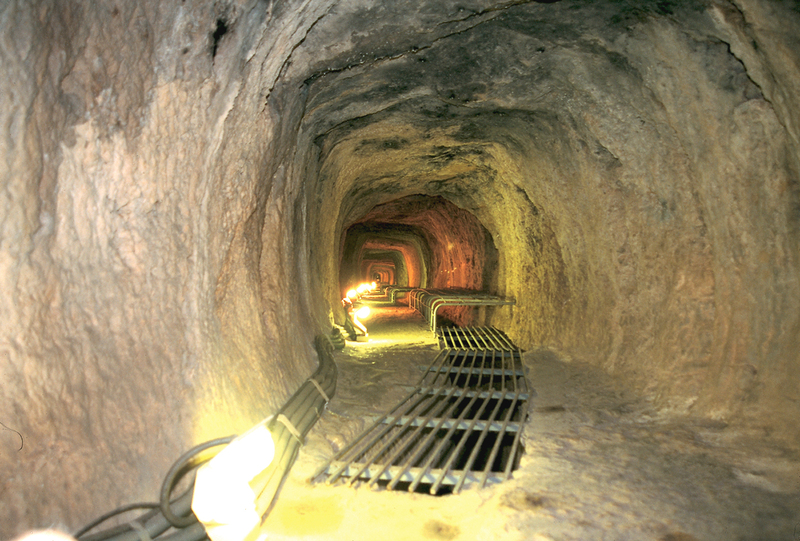 Rectangular stones were used to create the tunnel while the ceramic pipes to lead the water into the tunnel still remain in perfect condition, to make the Tunnel of Eupalinus a distinguishing feature and a much frequented tourist spot in Samos. Another important part of the local history is depicted at the Castle of Lykourgos Logothetis located at a hill of Pythagorion. Constructed during the 19th century from remains of various archaeological monuments of the island on an old acropolis, the castle served as the leading headquarter towards the revolution against the Turks. The final victory made the locals built a church right next to it, to make a site of marvellous contrast. 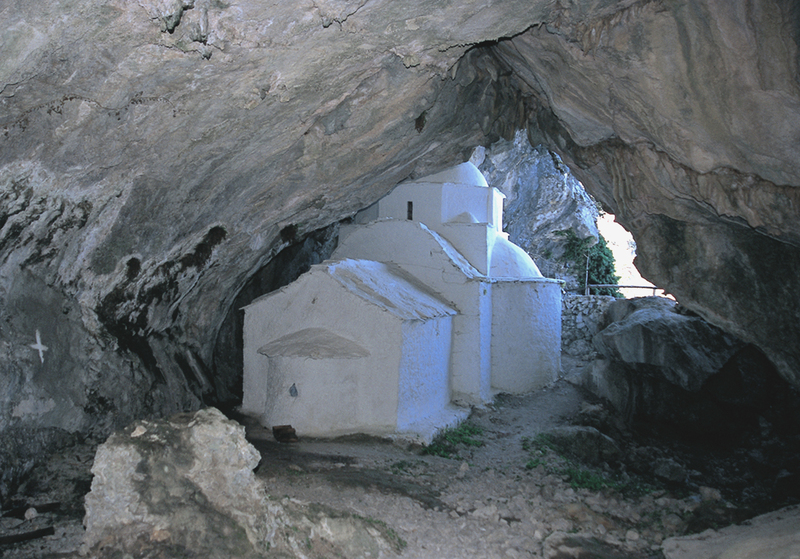 Finally, Samos boasts a number Byzantine and pre-Byzantine chapels monasteries, the most distinctive being Panagia Spiliani Monastery nearby Pythagorion. The monastery took its name after the small church inside a large cave dedicated to Mother Mary. It is believed that the same church has been a place of worship since antiquity as it features parts of an ancient temple, while Pythagoras lived and practiced here. The church features a marble icon of the Virgin Mary, which according to the legend was broken during an attempt to steal it and after locals put its pieces together, the icon nowadays is believed to be miraculous. The island of Samos offers a wide range of activities around its lovely mountains and beaches. 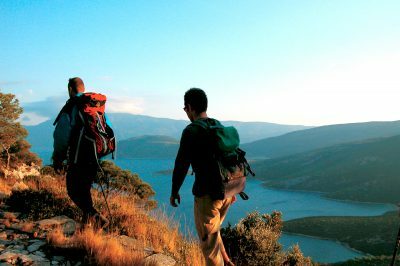 The mainland of the island offers great opportunities for hiking, mountain biking and climbing with several tracks, trails and climbing fields, also featuring a couple of caves and waterfalls. Several water sports facilities are also available in the fully organized beaches where windsurfing, kite surfing, or wave surfing encouraged by the local thermic winds or sea kayak, and fun sports can be thoroughly practiced along the coastline. 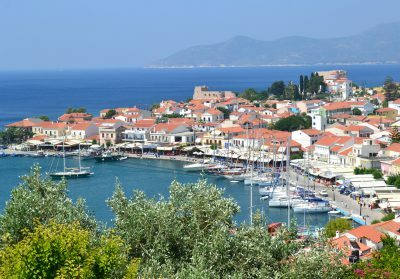 Samos is also ideal for sailing as several of boats are offered for hire, as island hopping is pretty common at the area to reach Dodecanese islands such as Patmos, Kos or Kalymnos. Boat trips are also offered to connect the island with the Turkish coast. Finally the wine roads of Samos are perfect for exploration when fine producers open their estates to the public offering wine tasting and info related to the production process. Samos also features wonderful beaches to satisfy every taste. 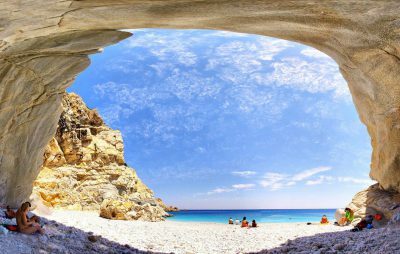 One of the most beautiful beaches across the island is the pebbled Beach of Tsamadou situated close to Kokkari and surrounded by a green landscape. The beach is ideal for relaxation including a part indicated for nudists, but when it gets windy surfers find their paradise with waves to reach 3m height. 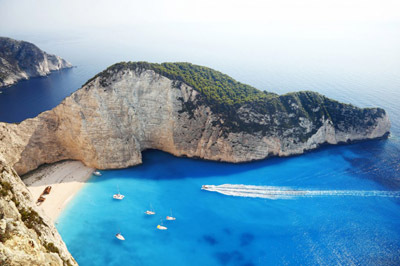 A famous beach awarded with the Blue Flag, is the fully organized Potokaki Beach, while Lemonakia Beach is a sandy shore with an exotic landscape featuring green cliffs and crystal blue waters. Psili Ammos offers for families having a sandy shore and shallow waters, while the more adventurous ones can have their swim at the waterfalls near Karlovassi. A strong aspect of Samos’ economy is the local intense agricultural activity, focusing on the production of oil and wine since antiquity, along with citrus fruits, raisins, figs and honey. 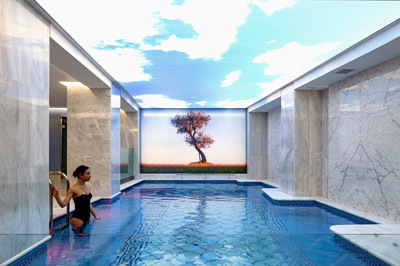 The viniculture of the island however, prevails as the local sweet Muscat is of exceptional quality, to make the island of Samos known around the world. The local cuisine follows the same pattern as the neighbouring island of the East Aegean Sea with excellent delicacies being influenced by the Asia Minor cooking. 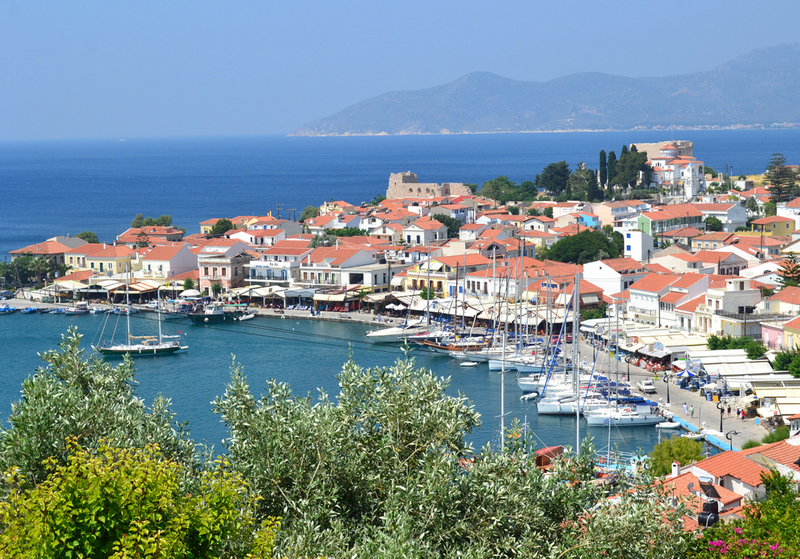 A strong aspect of Samos’ economy is the local intense agricultural activity, focusing on the production of oil and wine since antiquity, along with citrus fruits, raisins, figs and honey. 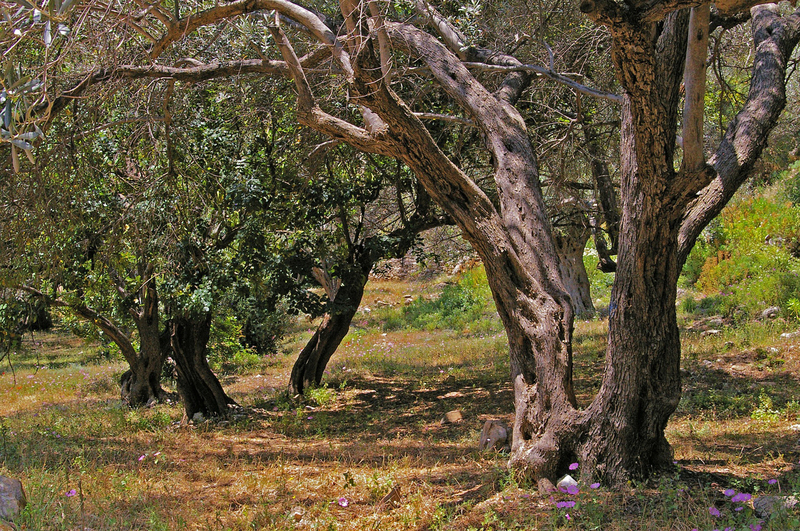 The viniculture of the island however, prevails as the local sweet Muscat is of exceptional quality, to make the island of Samos known around the world. The local cuisine follows the same pattern as the neighbouring island of the East Aegean Sea with excellent delicacies being influenced by the Asia Minor cooking.